St. Paul Greek Orthodox Church, located on Cathedral Avenue in Hempstead, New York has to be one of the most beautiful churches on Long Island. Rivaling some of the most magnificent cathedrals located throughout NYC, St. Paul’s features the exquisite design elements found in any Greek Orthodox church. Breathtaking marble floors, amazing stained glass window creations, fabulous paintings and art, sculptures and woodworking all are components of these traditional houses of worship. A Greek Orthodox wedding ceremony is one of the most beautiful celebrations of love and life that one may ever witness. As a professional wedding photographer I love being called upon to share in these special events and being charged with the responsibility of creating photographic memories for a lifetime of enjoyment by the bride, the groom. the family and friends. 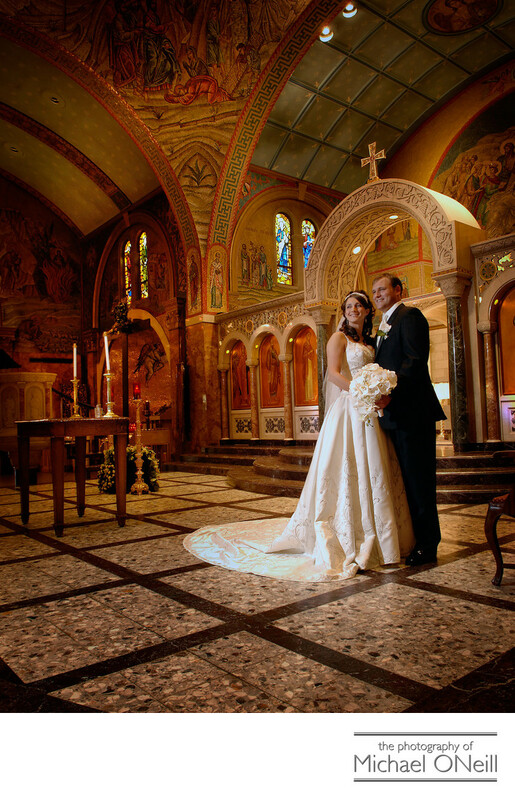 If you are planning a Greek Orthodox wedding anywhere on Long Island or in New York City give me a call to discuss all of your photography needs for the big day.